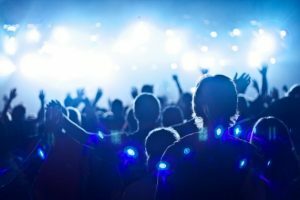 What does a listening church look like? How can we hear God together for our churches? God loves every local expression of the Body of Christ, and the Holy Spirit desires to reveal to us the heart and intentions of the Father so that together we can step into his Kingdom purposes. The gift of prophecy is not just for individuals, and a mature expression of the ministry will involve corporate hearing and responding. A healthy prophetic culture is one in which people have a shared vision of what God is calling them to as a church. The second and third chapters of the book of Revelation are made up of Jesus’ words to the seven churches in Asia Minor and give an interesting perspective on what God’s word looks like when directed to a church rather than an individual. Each of these letters starts with an expression of the nature and character of Christ, then a specific commendation, followed by a complaint, correction and conclusion. Each letter is precise and to the point. Can we hear God as clearly as that for our churches? Do we know the particular revelation of his nature that Jesus wants us to take hold of in this season? Can we hear his words of affirmation and correction? Can we state with confidence, “These are the words of him who holds the seven stars in his right hand….”? It’s important for every church to know the call of God. Proverbs 29:18 warns that without prophetic vision the people of God perish. Every church needs eyes to see and ears to hear: to discern the bigger picture of God’s intention for us as a body and where he is calling us. Whenever we come together in worship and fellowship there are opportunities to hear the corporate ‘now’ word from the Lord. We simply need to create the space and expectation, and get in the habit of saying, “Let’s just pause for a few minutes and listen to what God is saying to us.” An obvious place to do this is in our Sunday services, but we can do this whenever we are gathered together. A number of years ago, at my church in Sheffield, we set up a Prophetic Council that has been a very helpful way of discerning what God is saying to us as a church. The Council is made up of a number of mature Christians who have a good track record of bringing accurate prophecies to the church and have a heart to serve the leadership. We meet 6 times a year: each time we meet we share what we think God is saying to the church and city, and then seek to discern, weigh and sharpen God’s rhema word. We then submit these words to the church leadership team. Other churches I know have set up Listening Groups as a way of encouraging people to hear God together. These are open to everyone who wants to come, and usually follow a simple pattern of worship, basic teaching on hearing God’s voice, and then space to listen. They provide a positive context to pursue God’s heart and intention for his church, and everyone is encouraged that they can listen and contribute. If we are serious about hearing God for our churches then we have to be intentional about recording prophecies. God’s voice is incredibly precious, but how do we ensure we keep a proper record of what he is saying to us? At my church we’ve got files that go back years: we’ve done our best to keep a copy of every prophecy that has been given to our church. We also have a book that is available at Sunday services to record prophecies that are shared. Having everything written down enables us to keep in step with the Holy Spirit and track the themes that emerge over time. We find confirmation for prophecies when we realise that the same word has come from different people over a period of time. Most prophecies we hear and speak will not be 100% accurate and infallible. Some may come very close, but at the end of the day it’s still a human vessel trying to communicate the very mind of God using contemporary language, and we will always need a healthy dose of realism and humility to properly discern what God is actually saying. This is probably stating the obvious, but if we’re going to hear God’s voice together then we need to be good at communication. It’s vital that both the church leaders and the intercessors know what the prophets are discerning at any time, but we also need effective channels of communication so that the whole church knows what God is saying in a particular season. Sometimes the greatest gift to a prophetic team is someone who is really good at administration and can take on the role of ensuring good communication. Notice boards and newsletters are great places to share key prophecies. When God speaks to us he speaks for a purpose and he looks for a response. There is a profound intentionality to God’s spoken words to us; we have to beware a casual attitude to them. We need to be active responders rather than passive receivers. An incredible helpful framework for processing the prophetic is understanding that there are three parts to any prophecy: Revelation (the picture, word, or dream given to the person by God); Interpretation (“What does it mean?”); and Application (“What are we going to do about it?”) All three parts are equally important, and a mature prophetic culture is one where emphasis and training is applied to all three. Revelation may come from just one person, but the application of prophecy has to be discerned within a context of community and usually requires input from people who are gifted in strategy. Once we all know what God is saying to us as a church, then wise and strategic leaders can release the Body to step out in faith and obey God’s voice. There is so much God wants to say to his church: let’s be hearers – and do-ers – of his word. Together!